Reelcraft L40351631 is a 35 ft light cord reel. 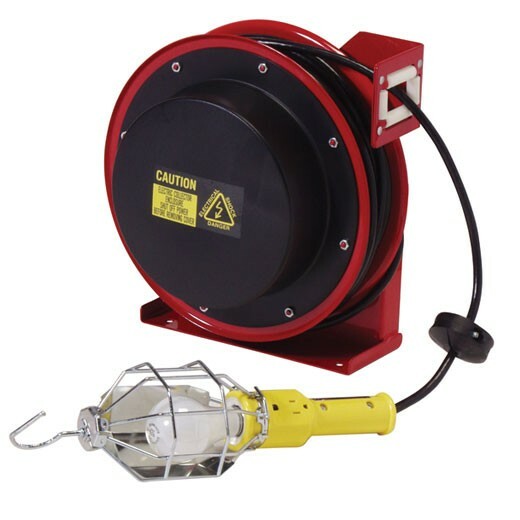 This industrial power cord is easy to mount and is ideal for indoor and non-weather-tight applications. Comes with a 35' cord. Reelcraft L40351633 is a 35 ft power cord reel. This heavy duty power cord is easy to mount and is ideal for industrial use which critical space is required. Comes with a 35' cord.